Omnichannel has undoubtedly changed the face of retailing. But how can retailers ensure it is used to enhance the in-store experience, strengthening relationships with customers? Hear a host of expert speakers, at the Retail IT event. Discuss this balancing act and the potential that omnichannel offers retail brands through a selection of stories, case studies and innovative examples. Who are the Retail IT experts? These experts include author and TV retail expert Clare Rayner, who is the event’s keynote speaker. Hear Clare inform delegates that omnichannel retailing is now central to the success of any growing retail outfit. Clare, well known for championing the success and sustainability of smaller, independent retailers and suppliers to retail, will be available during the break so that delegates can ask her specific questions about their business. Other presentations at the Retail IT event include innovative ways to drive traffic to your site. There will also be a presentation on in-store and insights on the luxury market from Paul Thomas (Retail Remedy). 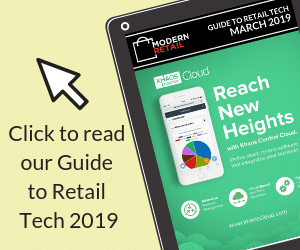 There’s also a case study from Intersport’s Laetitia Kotsiopoulos and another focus is on how omnichannel retailing provides opportunities for retailers of all sizes, from Retail IT. Omnichannel, Stores and Stories starts at 2pm. They’ll be complimentary light refreshments and finishes around 5pm. There is an option of drinks in the bar and the chance to mingle with fellow attendees. Delegates, should they wish, will also have the chance to experience the latest software solutions from Retail IT, such as the YourCegid Retail CBR platform. The event is free to attend for those in the retail industry. To guarantee a place for you and/or colleagues at Omnichannel, Stores and Stories, simply email matthew@retailit.com. It is being held at: the Judges Court, Browns, 82-84 St Martin’s Ln, London WC2N 4AG – click here.